I don't think I have ever read a better book about witches and witchcraft than Spectral. Spectral is nothing like you would imagine it to be. Jewel Rose cannot remember the last time her family stayed in one place for enough time for her to make friends and feel like she belonged. In her almost seventeen years, she had been enrolled in 26 schools and counting. Being used to living the life she has, Jewel has stopped questioning. Out loud. 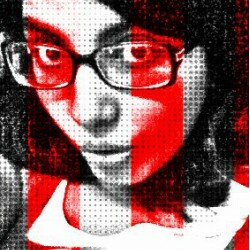 But all she really thinks about is the absurdity of it all and how much she wants to life a normal life. Her seventeenth birthday is a special one and being born during a rare time of the year a total lunar eclipse which occurred at the same time as the full moon during the summer solstice. However, Jewel isn't too thrilled with the most unexpected of their moves till yet and the pink bedroom. Jewel finds out more about herself and her family during a period of two months than she has in all her life. Chase, the guy at school, seems to like her and the new guy, Roman intrigues her. But then her grandmother, Aunt Eva and Uncle Boris arrive to stay for a month. Overhearing a conversation about her being a Spectral worries her and Jewel decides to take matters into her own hands and to find answers. Her decision takes her on a journey to discover the truth about her family, decide who is it that she wants to be with: Chase or Roman and most of all, whether she going to come out of the chaos alive. Spectral starts out normal and picks up the pace as the story gets more complicated and a lot of action occurs with a dash of a budding romance, weird happenings, family pressures and petty jealousies. 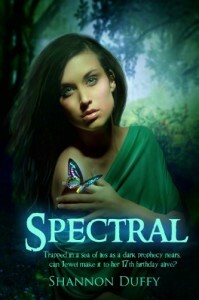 Spectral has marked its spot in the paranormal genre with a promising synopsis and a striking cover. It has it all from the first sentence on. What's not to like in a book with a family hiding secrets longer than the years Jewel has spent on earth and a gorgeous boy who claims to be her guardian? Spectral is one of the must-reads of 2012.